New Vine Wine Tours – We provide North Fork Wine Tours Long Island New York. We also provide different long island wine tour packages for the ultimate North Fork Wine Tour experience. Are you going for your first wine tasting tour? You are probably all excited and nervous at the same time. You need a helping hand from North Fork wine tours Long Island New York. The fact that wine tasting tours are also about decorum makes them a little unnerving. This may not, however, be as bad as you think. These trips are some of the best thanks to the packages provided by the tour companies and wineries. 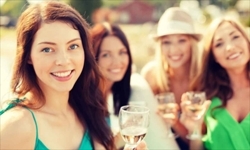 Here is what to expect and how to engage yourself during the wine tasting tour. It is true that wine tasting is all about style and class. This is right from the way one has to dress to how they handle their wine. You will have to dress up for your wine tasting experience. Unlike many other holidays where you let go of your nice evening dresses and suits, wine tasting will need you to dress up. Ensure that you look as elegant as you can for the moment. People will be taking a look at a little bit more than wine bottles. It is also wise to ensure that you work with dark colors as North Fork wine tours Long Island New York service providers will advise. Wine tasting can get a little messy thanks to the swirling and slurping not to mention walking beside people. Bright colored clothes will obtain ugly spill marks that will be visible to everyone. You may have to cut your wine tasting shot just to get changed or cleaned up. Darker clothes closely resembling the color of the wines are ideal. These will easily conceal wine spills in case any happen. 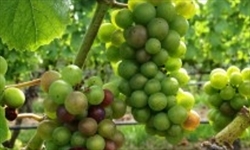 North Fork wine tours Long Island New York will also expose you to wine tasting skills. Tasting wine involves a number of well-set actions. These are not optional for the sake of flair. Ensure that you hold the wine glass as required. You can do this at the base of the glass or right between your fingers comfortably. Swirl the wine to aerate it and get it all flavored up. Wine will create ‘legs’ on the glass. The bigger the legs the more fully bodied the wine. Next sniff the wine by getting your nose as far into the glass as you can. This is not at all awkward. Wine samplers will take more time sniffing wine as compared to drinking it. Finally, sip in the wine with a slurp taking in air and the wine at the same time. Finally, allow the wine to linger on your tongue before swallowing or in some cases spitting it out.This action gives your taste buds time to sample the ingredients of the wine. 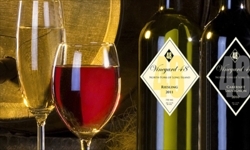 It is at this point you will hear most critics describe the wine using some of the distinct ingredients in the drink. You will be good to go once you master these few skills. The skills just like good wine, get better with time. 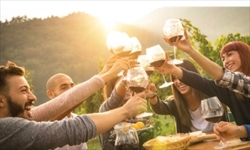 Wine tasting tours provided by North Fork wine tours Long Island New York companies also come with gourmet servings that you can enjoy along with your wine. They also have bars that you can hit to catch up with friends and even make new ones. Who said wine tasting tours are not fun? © New Vine Wine Tours. North Fork Wine Tours Long Island New York, All Rights Reserved.